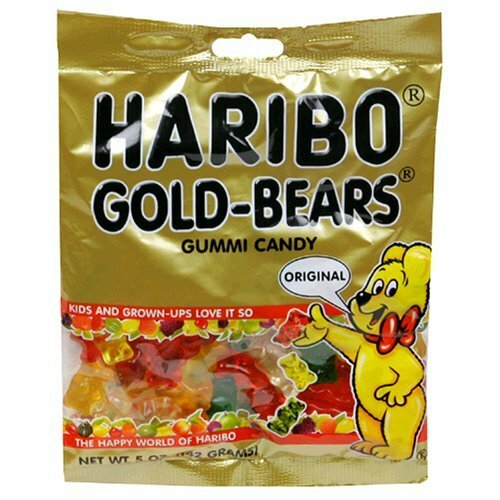 Seriously, I have no problem whatsoever eating an ENTIRE pack of Haribo Gold Bears or Allen's Snakes in one sitting. Due to obvious reasons I have tried to cut down on my lolly intake, but when I saw this recipe on Masterchef Australia last year, I was salivating. 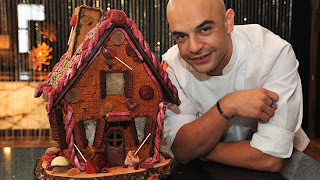 I didn't care about the gingerbread house, I just wanted to eat the sweets that were made to decorate the house. I thought I would set myself the challenge to make these lollies and sweets as part of my Life List adventures. I tracked down the recipe and now all I need to do is buy all the ingredients and products that are included. I am not sure how long this will take, but I hopefully they will be a success and I can show you all the finished product. Recipe for the assorted sweets and lollies to decorate the Hansel & Gretel House. 1. Heat passionfruit pulp and apple puree to 60⁰C. Combine pectin and 38g sugar, sieve into fruit puree and stir to combine. Bring to the boil, stirring occasionally. Add 250g sugar and glucose and whisk until dissolved. Bring back to the boil and continue to boil for 5 minutes or until mixture reaches setting consistency and runs off a whisk in a thick stream. Stir in citric acid solution and working very quickly fill silicon moulds and refrigerate to set and cool. 2. Turn out jelly and toss in caster sugar to coat. 1. Heat puree to 60⁰C. Combine pectin and 38g sugar, sieve into fruit puree and stir to combine. Bring to the boil, stirring occasionally. Add 250g sugar and glucose and whisk until dissolved. Bring back to the boil and continue to boil for 5 minutes or until mixture reaches setting consistency and runs off a whisk in a thick stream. Stir in citric acid solution and working very quickly fill moulds and refrigerate to set and cool. 1. Cook sugar, water and glucose to 155⁰C but do not allow to colour. Add remaining ingredients and mix to combine. Pour into half sphere silicon moulds, add stick and allow to set. 2. Make a batch of the mandarin jelly, half fill cone moulds with jelly, submerge a tangerine rock stick and fill with more jelly to encase. Allow to set. I am hoping you will be successful on this. Just try not to eat it before it's all done. 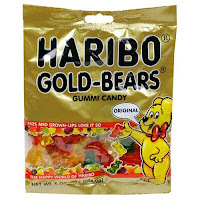 I also wanna say that we got the same passion when it comes to those tiny Gummi Bears, could never really resist them. I know it will be hard not to eat them all once I have made them! You are so correct, your Gummi Bears are so irresistible!